Truck sales helped deliver a strong sales month for General Motors Canada. Automakers remain on pace to easily cruise past a record two million sales in Canada for the first time after another record-setting month. Sales for the month totalled 164,643 vehicles, up 6.3 per cent over October 2016, according to numbers compiled by the Automotive News Data Center in Detroit. October's numbers brought total sales this year to about 1.76 million vehicles through 10 months, up 5.6 per cent from last year, with every month but April hitting a new record this year. General Motors Canada led the pack in October, outselling Ford by nearly 6,000 vehicles in October, growing its sales 26.5 per cent to almost 26,847 units while sales for the current market leader, Ford, fell two per cent to 21,068. General Motors could finally reclaim its status as Canada’s top-selling automaker by year’s end. With two months to go, GM currently lags Ford by just 7,760 sales year-to-date. Even with Fiat Chrysler Automobiles Canada posting an 11.9 per cent swoon, GM’s strength helped Detroit automakers achieve a combined 4.6 per cent increase in October. But while the Detroit Three were jostling for position at the top, the offshore brands combined to advance their sales 7.4 per cent. All told, automakers are on pace to sell more than two million vehicles and best last year’s record of 1.95 million sold. “We estimate that the annualized sales pace remained above two million units for the eighth time this year, pointing to ongoing strong consumer spending into the final months of 2017,” said Scotiabank Senior Economist Carlos Gomes. October was an especially lean month for Detroit passenger cars. Even buoyant GM saw its car sales slide 20 per cent (while its light-truck sales spiked 44 per cent). Ford’s car sales plunged 39 per cent while FCA’s routinely minimal car sales were little changed. Offshore brands were less affected, down 3.8 per cent, but for the overall market, light-truck sales surged 13.6 per cent while cars sagged 7.9 per cent. Bottom line: light trucks edged above 70 per cent of total sales for the month – a rare feat even in today’s truck-obsessed climate. Contributing to the increase in truck sales were record October sales for Ford’s juggernaut, the F series pickup, which surged 25 per cent to 10,591 units sold. 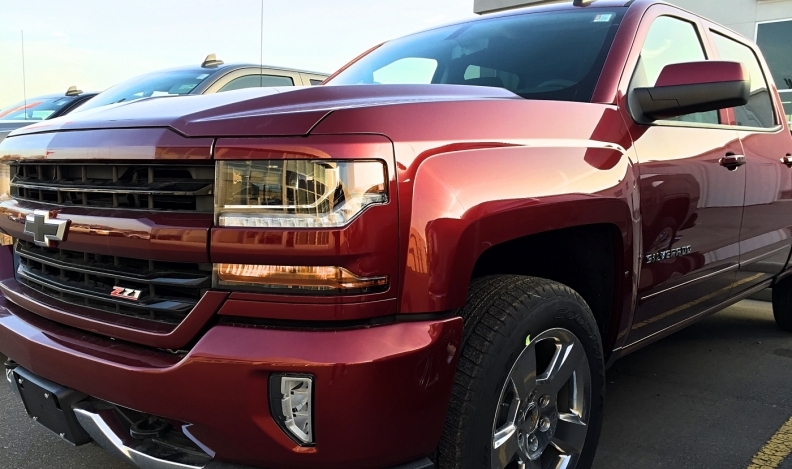 But combined sales of GM’s Chevrolet Silverado and GMC Sierra full-size trucks vaulted 45 per cent to 10,312, within a whisker of topping the Ford. The Canadian Press and Greg Layson of Automotive News Canada.